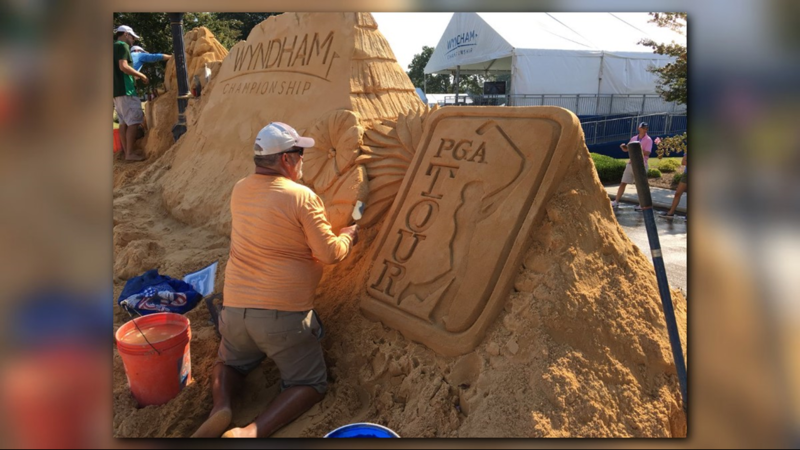 GREENSBORO, NC (WFMY) - The PGA Tour makes its yearly stop in the Triad this week with the 79th Wyndham Championship. 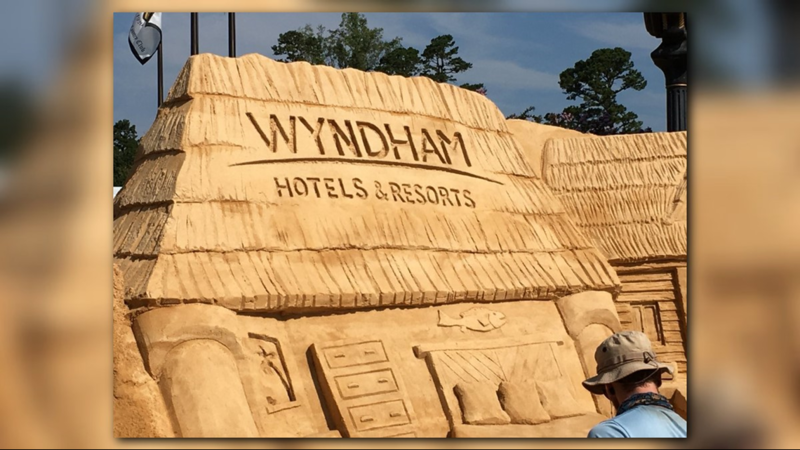 We'll be updating this blog throughout the tournament so keep it here for all your Wyndham coverage! 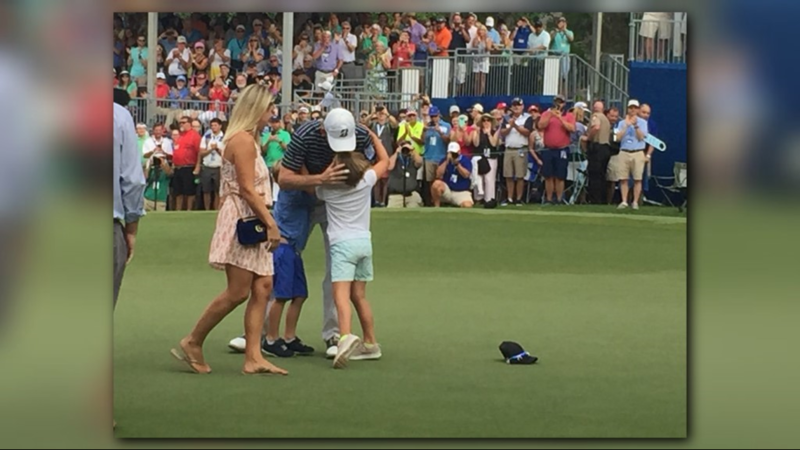 Brandt Snedeker celebrates winning his second Wyndham championship Sunday with family. 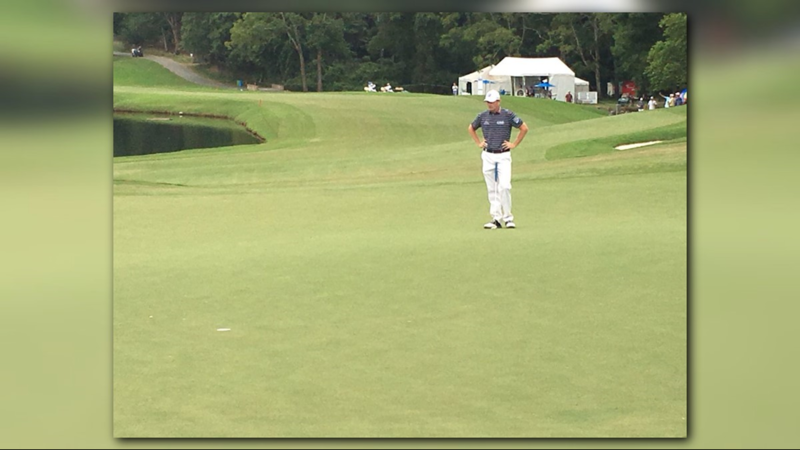 Brandt Snedeker birdied Hole 15 to force a tie for the lead at the Wyndham Championship Sunday. 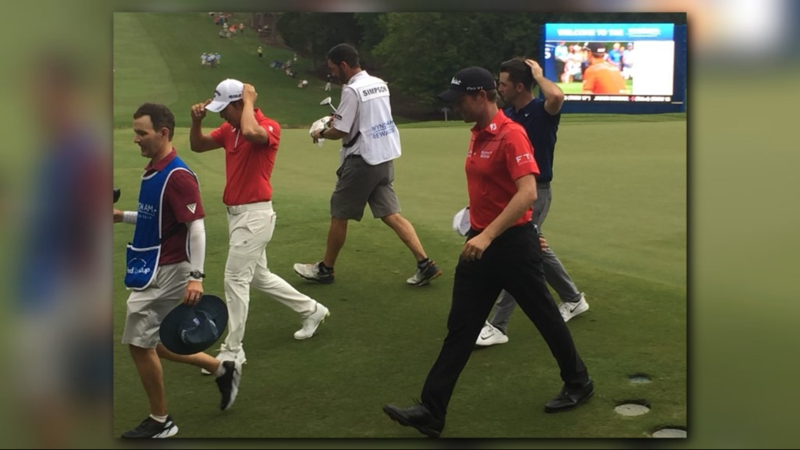 Wake Forest Webb Simpson finished at 18-under after bogeying on the last hole. 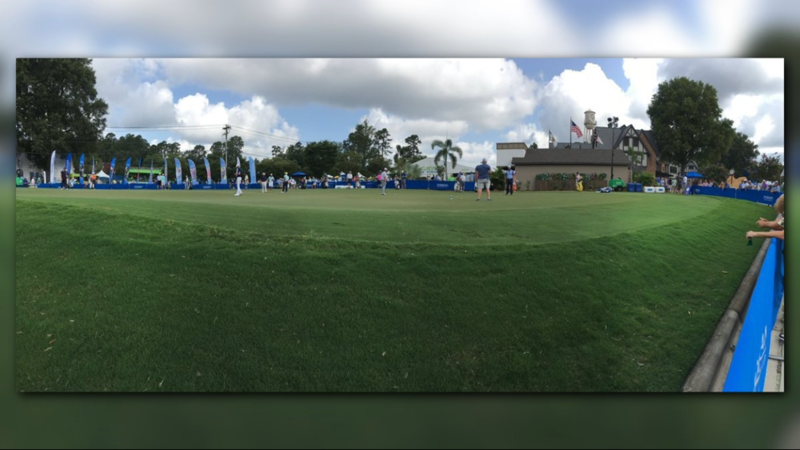 The clouds part the sky at Sunday's final round of the Wyndham Championship. Golfers on the range warm up ahead of the final round Sunday. 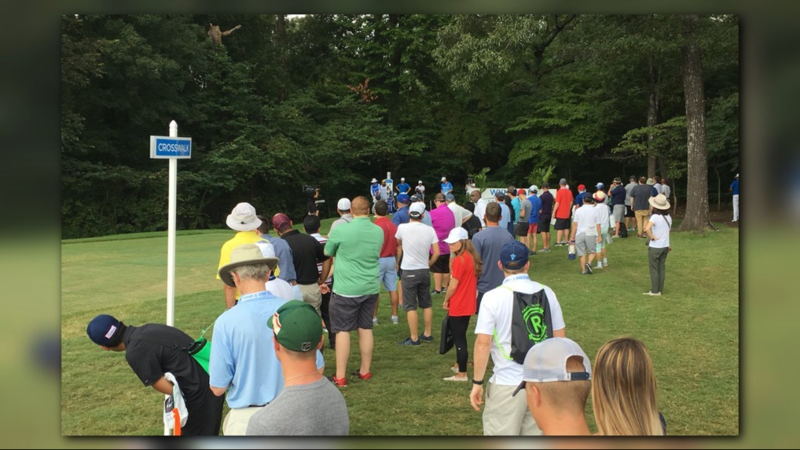 Fans gather near the second tee for the final round of the Wyndham Championship. 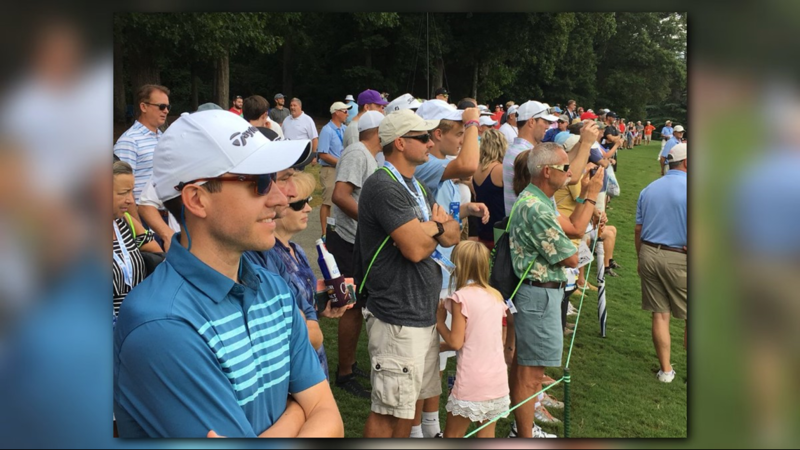 A big group of fans follow Jim Furyk at the Wyndham Championship. 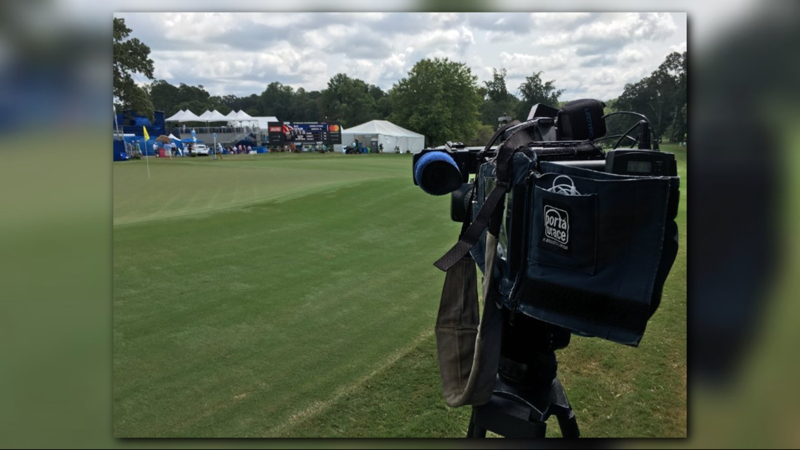 The camera points at the ninth green for the final round of the Wyndham Championship. 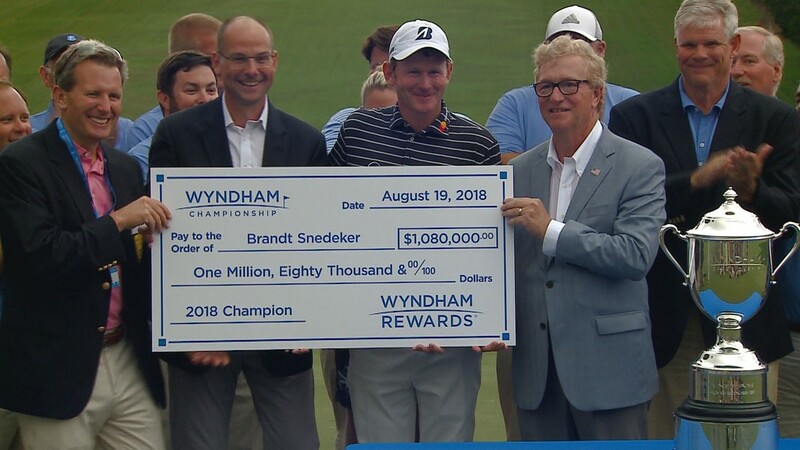 Brandt Snedeker used an opening-round 59 to jump out to the lead and kept his momentum going through the weekend for the second Wyndham championship of his career. 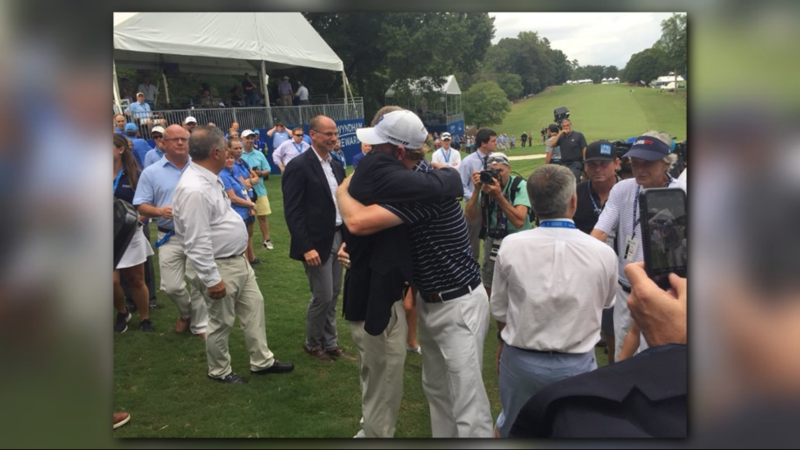 Snedeker fought off Webb Simpson and C.T. Pan, emerging from a three-way tie down the stretch and shot a 259 (21-under) for the tournament. 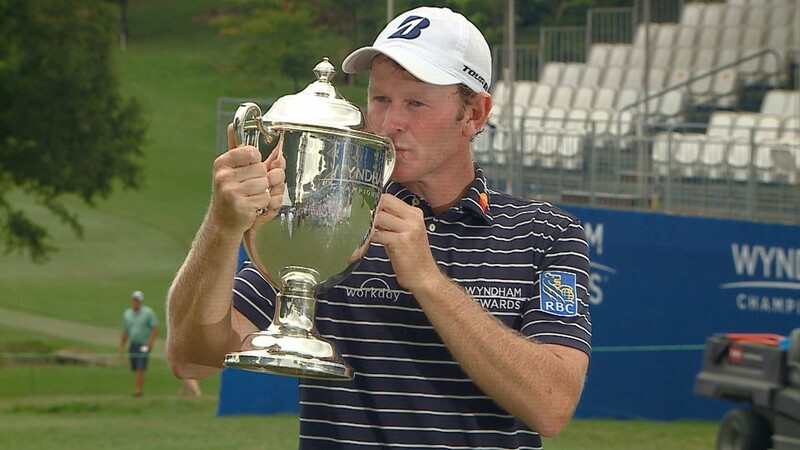 Snedeker also won the Wyndham in 2007. Pan and Simpson both finished 18-under to tie for second. 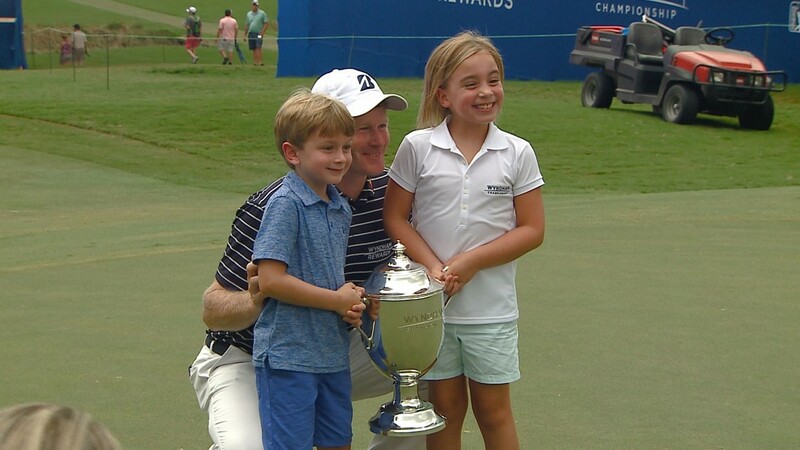 6:07 p.m. - Brandt Snedeker finishes an amazing Wyndham championship with a birdie on hole 18 to claim his second championship! 5:54 p.m. - Brandt Snedeker tees off at the final hole likely only needing a bogey to win. Pan will double bogey No. 18 and Snedeker is in the driver's seat. 5:48 p.m. - C.T. Pan struggling on the 18th hole after going out of bounds with his tee shot. 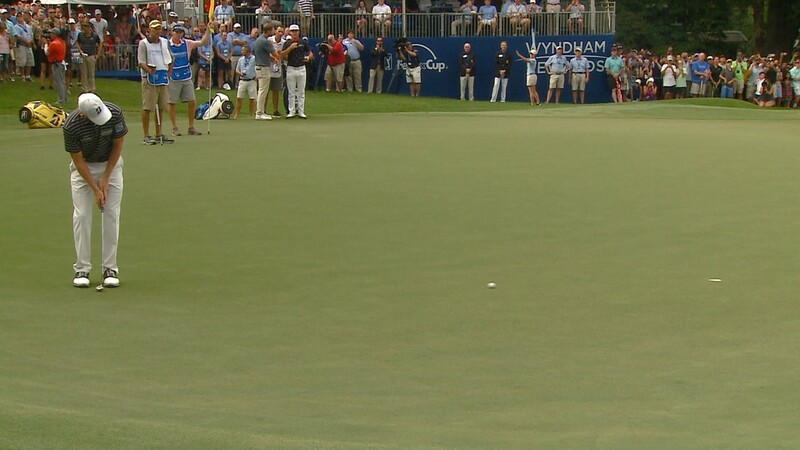 Brandt Snedeker comes up short on a putt but after tapping it in he becomes the sole leader! 5:41 p.m. - We're hoping the storms avoid Sedgefield Country Club today and it's looking like that's the case. 5:39 p.m. - C.T. Pan and Brandt Snedeker still tied. Snedeker is at No. 16 and Pan is playing No. 18. We could be heading towards a playoff. 5:26 p.m. - Brandt Snedeker birdies No. 15 and is now tied with C.T. Pan for the lead. Both are 20-under. 5:20 p.m. - Webb Simpson finishes at 18-under after a bogey on hole 18. C.T. Pan still leading at -20. 5:10 p.m. - C.T. Pan has taken the lead and is now 20-under entering the 16th hole. Brandt Snedeker is one shot back and Webb Simpson is two shots back. 5 p.m. - Today may go down to the wire. 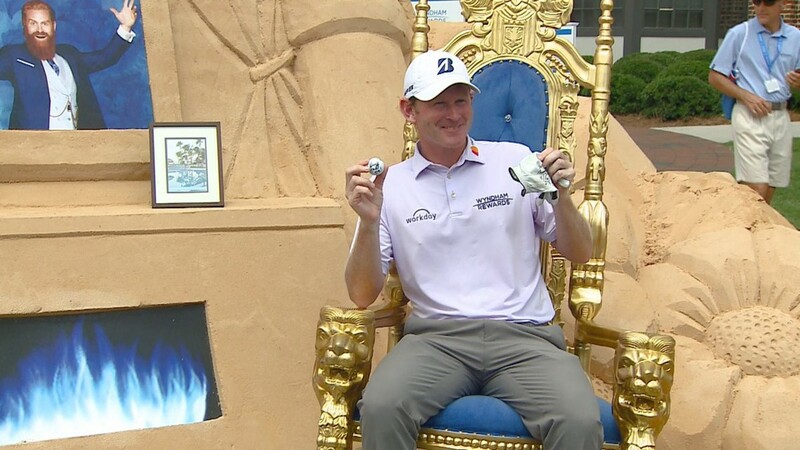 Brandt Snedeker, C.T. Pan and Webb Simpson are all tied for the lead! All three are 19-under par. Simpson has gotten hot with birdies on three straight holes. 3:30 p.m. - Here's a leaderboard update: Brandt Snedeker still leads at (-18). Noon - After three rounds, Brandt Snedeker still leads the field by a stroke. Snedeker, the 2007 Wyndham champion, tees off at 1:15 Sunday afternoon looking for his ninth career victory on the PGA Tour. He followed his phenomenal 59 in the first round Thursday with a 67 Friday and a 68 Saturday. 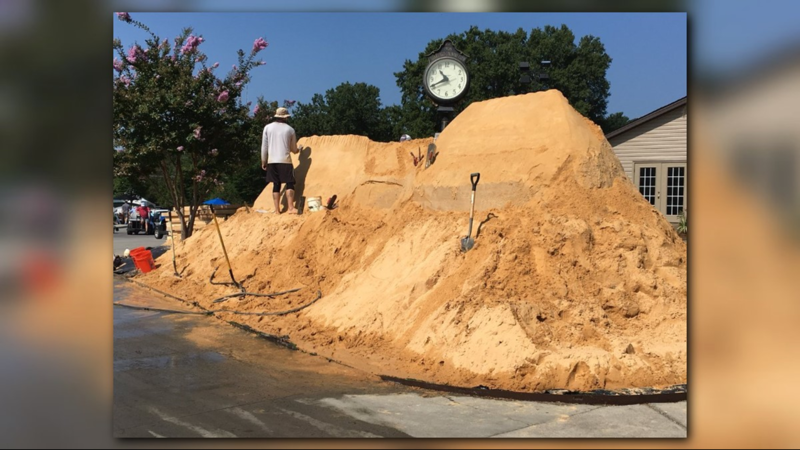 Play has been suspended during round 3 of the Wyndham due to weather. 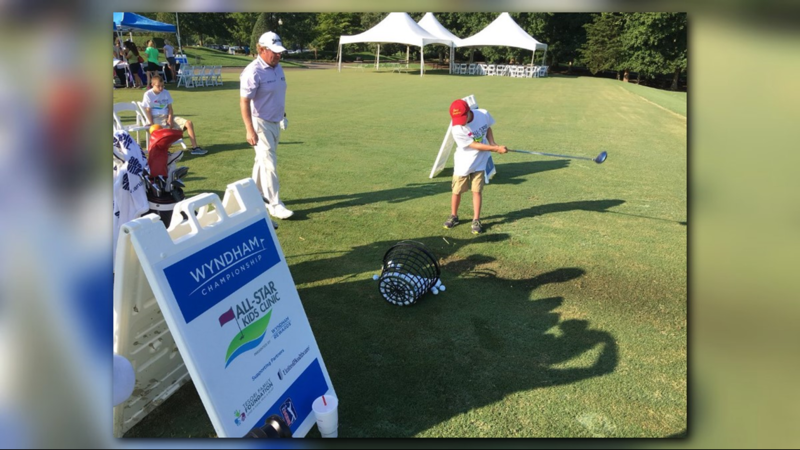 The fans are set and ready for the 3rd round of the Wyndham Championship! 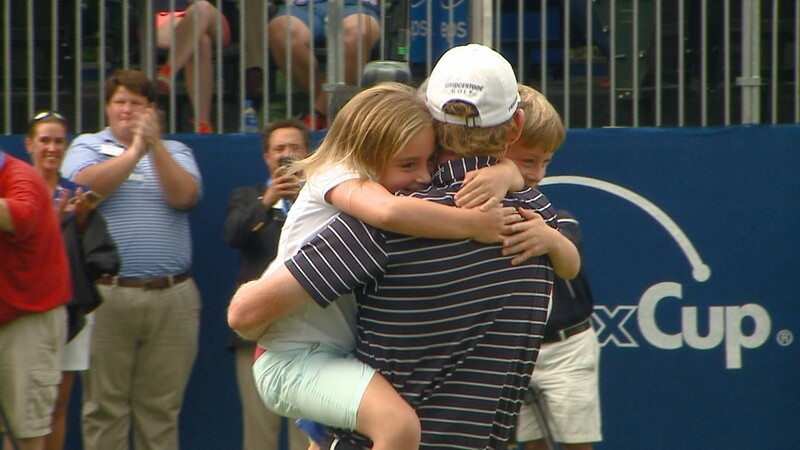 An amazing first round by Brandt Snedeker! Snedeker shot a 59 (-11). 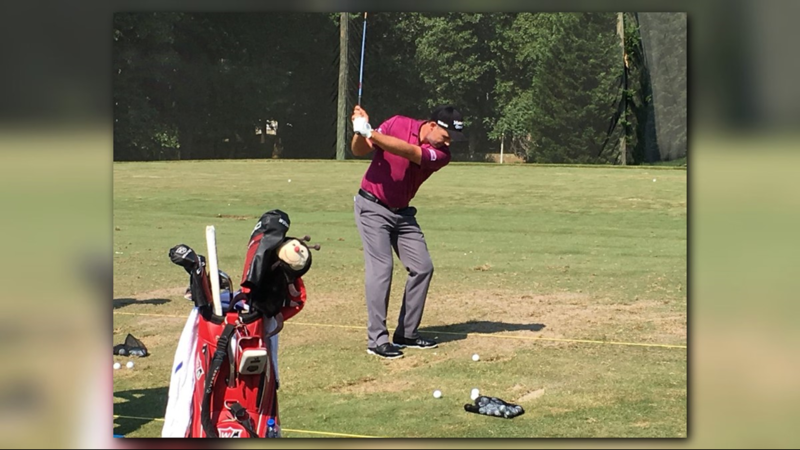 It marked the ninth 59 in PGA Tour history. 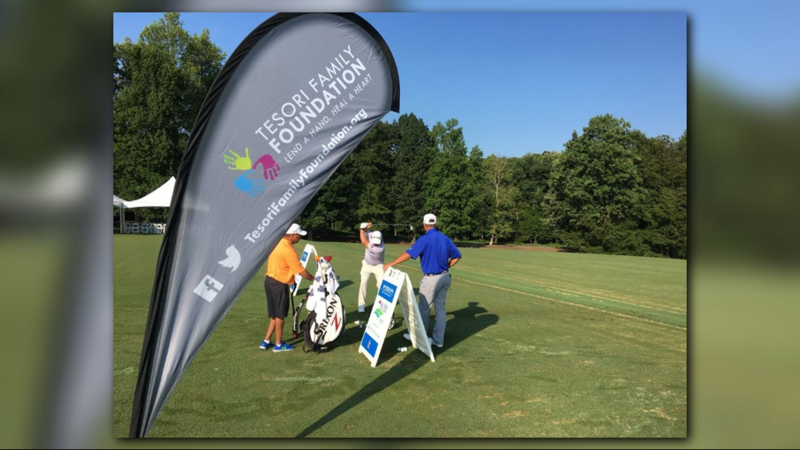 Jarrod Lyle’s golf bag and clubs will be displayed on the first tee at Sedgefield Country Club with one of Lyle’s hats hanging on a club. Lyle died of acute myeloid Leukemia in 2016. 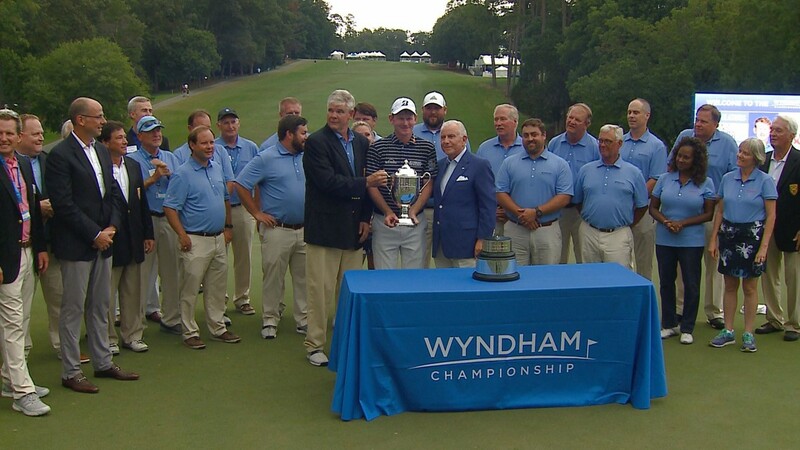 That year's Wyndham was his final PGA Tour event. 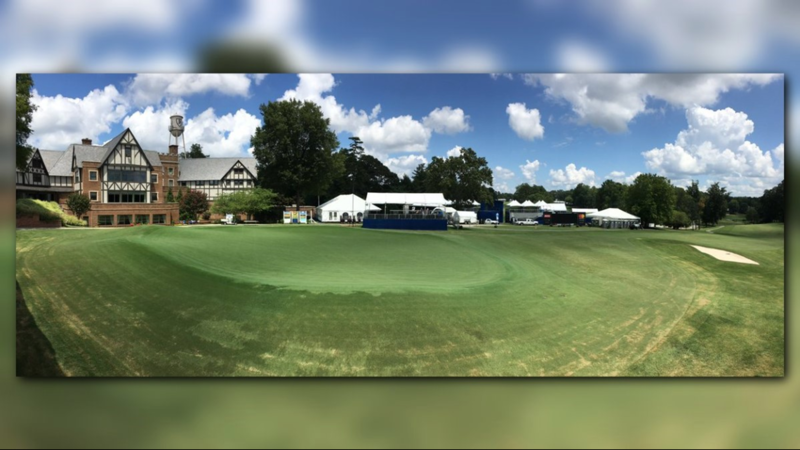 Round One of the Wyndham Championship begins Thursday morning at Sedgefield Country Club. 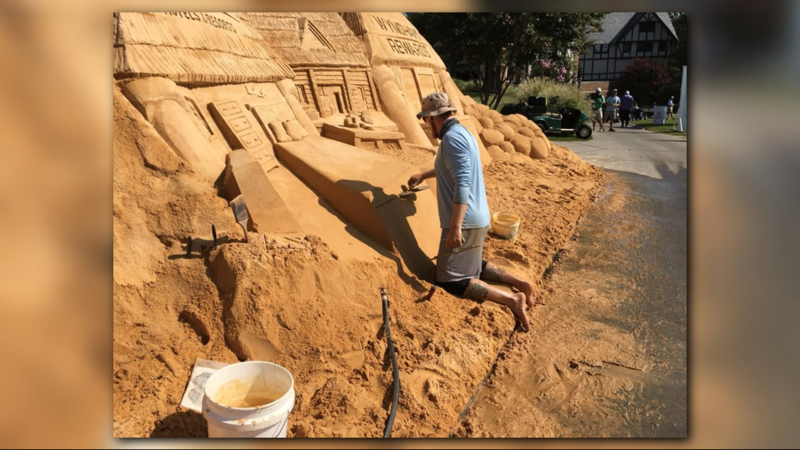 A Wednesday look at the sand castle at the Wyndham Championship. 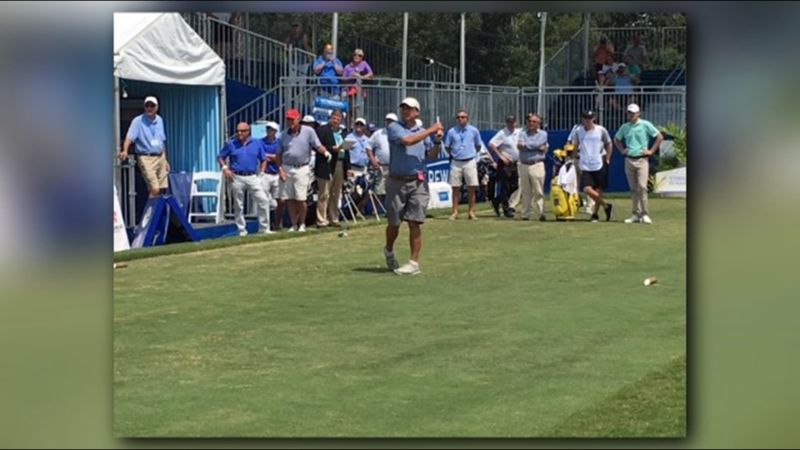 Former North Carolina Governor Pat McCrory plays in the Pro-Am Wednesday. 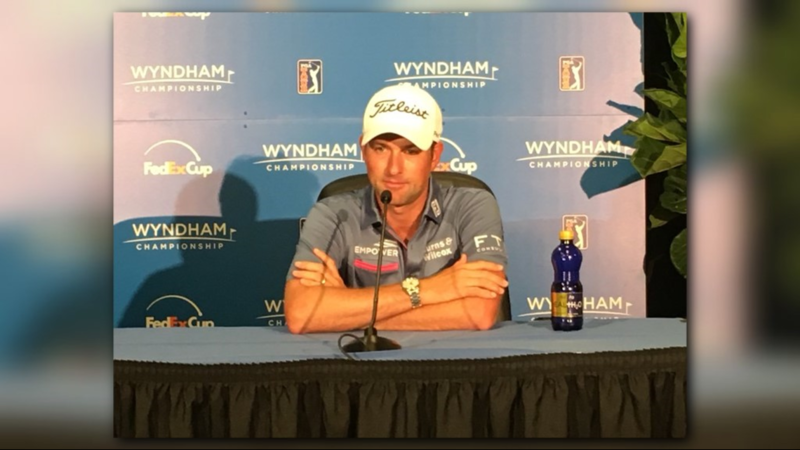 Wake Forest alum and Raleigh native Webb Simpson talks on Wednesday at the Wyndham Championship. 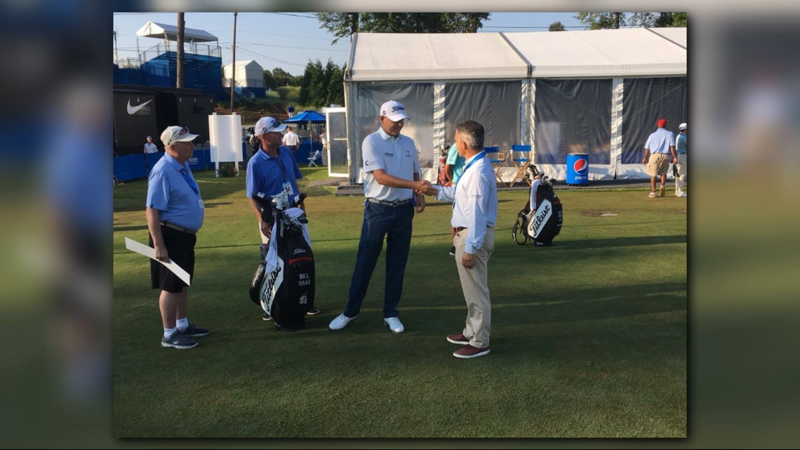 Bill Haas and Wyndham Championship Tournament Director Mark Brazil talk on the driving range Wednesday morning. 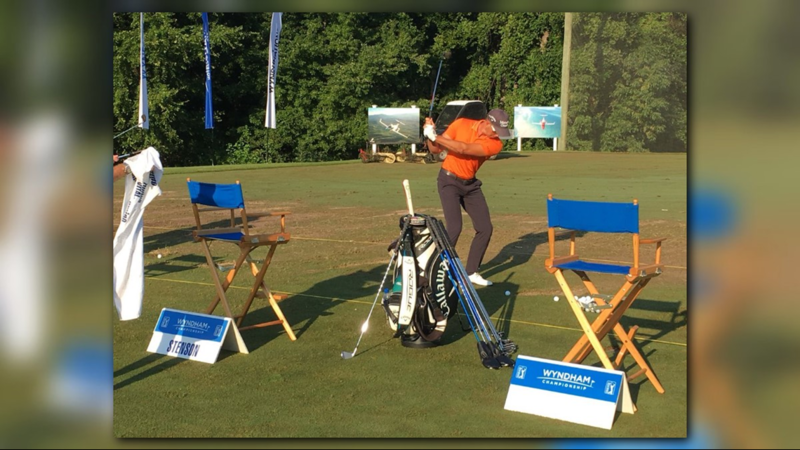 2017 Wyndham Championship winner Henrik Stenson warms up ahead of Wednesday's Pro-Am. 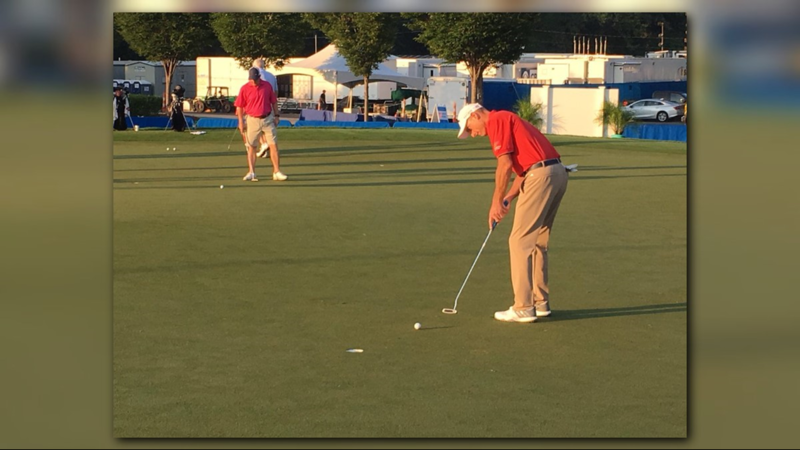 USA Ryder Cup Captain Jim Furyk on the putting green ahead of Wednesday's Pro-Am. 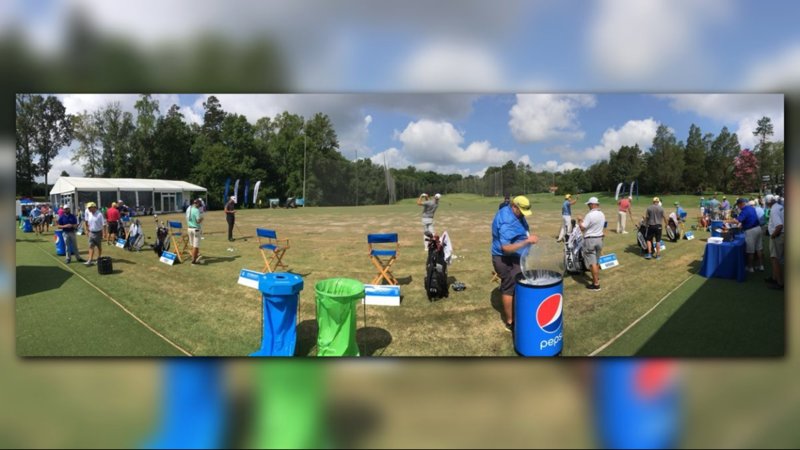 Three-time major winner Padraig Harrington on the driving range at Sedgefield Country Club. 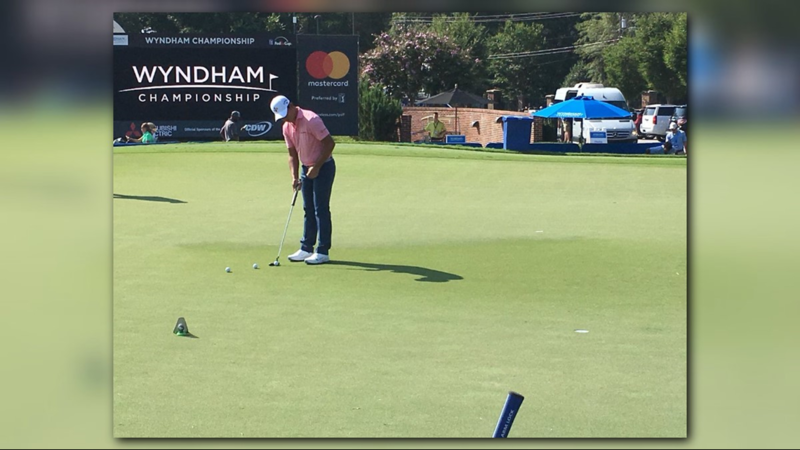 2016 Wyndham Championship winner Si Woo Kim on the putting green. 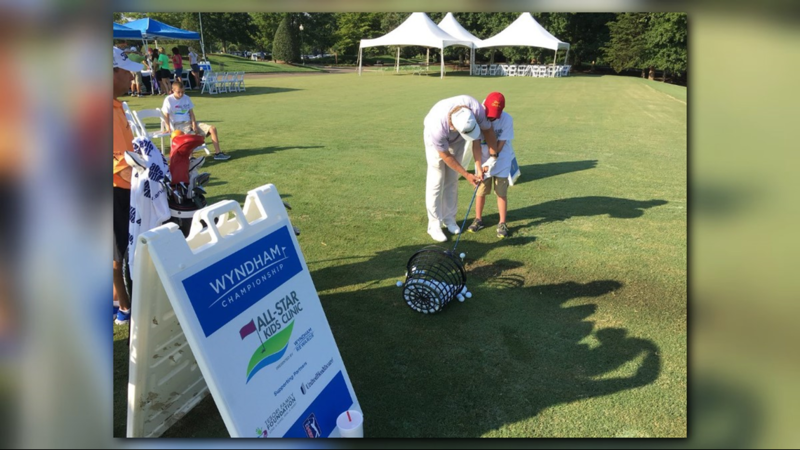 PGA Tour golfer William McGirt helps out at the All-Star Kids Clinic. 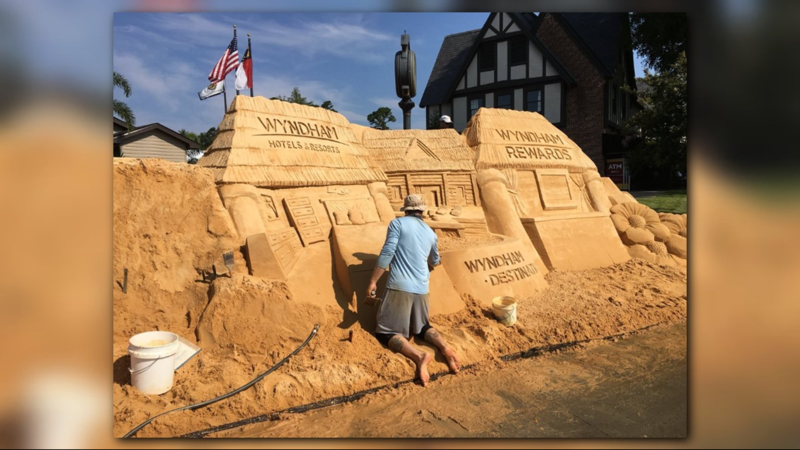 The sand sculpture at the Wyndham Championship is back this year.